This question is inspired by a question posted on ScienceFiction&Fantasy.SE. The central issue (vastly oversimplifying) is whether it's more evil to compel someone to do good than to compel them to do evil. I can remember being [taught] (in Catholic school) that intending to steal something when the opportunity arises, is still a sin even if the opportunity doesn't arise. The choice to commit the sin is as bad as committing the sin. Freedom to sin is an important part of Catholicism. Removing that freedom (forcing them to walk the correct path) removes the truth of their redemption (because they did not make the choice). It will demonize the "good path" because it is a thing you are enslaved to, and so one will eventually rebel against it. Another SFF user1 posted a link to the Summa Theologica in comments, particularly the bit on whether will is the subject of sin, but I'll admit that I'm having a hard time wrapping my head around the language. Doing my own research, I found a bit in the Catechism of the Catholic Church discussing the freedom of choosing between good and evil, which I found easier to read, but I'm still having trouble grasping the finer details. As a non-Catholic, can anyone explain this concept to me? Helping me to understand the meaning of these (or other) texts would be most helpful, but I'll take any help I can get. 1 Who is also a user here; hi, Matt! Freedom is the power, rooted in reason and will, to act or not to act, to do this or that, and so to perform deliberate actions on one’s own responsibility. Freedom is exercised in relationships between human beings. Every human person, created in the image of God, has the natural right to be recognized as a free and responsible being. All owe to each other this duty of respect. The right to the exercise of freedom, especially in moral and religious matters, is an inalienable requirement of the dignity of the human person. This right must be recognized and protected by civil authority within the limits of the common good and public order. An action is said to deserve praise or blame, from its being imputed to the agent [that is, from the agent being responsible for it]: since to praise or to blame means nothing else than to impute to someone the malice or goodness of his action. Now an action is imputed to an agent, when it is in his power, so that he has dominion over it: because it is through his will that man has dominion over his actions, as was made clear above. Hence it follows that good or evil, in voluntary actions alone, renders them worthy of praise or blame. Thus, in the example you give in the SciFi question, Gandalf is producing "useful" actions—or rather forcing people into doing so—but he is not helping people be good people. And this, the Catechism says, is part of the responsibility of those who govern, at least to the extent that they must allow people to be free to choose to be good people. That's what paragraph 1738 (on the "right to the exercise of freedom") is saying. If Gandalf were to force his subjects to do good (i.e. to do useful things), he would be doing so at the cost of fundamentally injuring their human dignity—a grave sin. Would this be worse than forcing them to do bad things? Perhaps not; in neither case would it reflect poorly on them, and in both cases it would be a grave sin on the ruler's part. (And forcing them to do bad things would, of course, result in objective evil being done.) But in no case would it ever be an acceptable course of action, or method of rulership. Why did God make man free? If God made man free so that he could choose good or evil, then a man would find beatitude whichever way he chose. This awesome gift [freedom] was given to man so that man may do good freely, just as God himself does in whose image man is made. 11 Do not say, “Because of the Lord I left the right way”; for he will not do what he hates. 12 Do not say, “It was he who led me astray”; for he had no need of a sinful man. 13 The Lord hates all abominations, and they are not loved by those who fear him. 14 It was he who created man in the beginning, and he left him in the power of his own inclination. 15 If you will, you can keep the commandments, and to act faithfully is a matter of your own choice. 16 He has placed before you fire and water: stretch out your hand for whichever you wish. 17 Before a man are life and death, and whichever he chooses will be given to him. 19 his eyes are on those who fear him, and he knows every deed of man. 20 He has not commanded any one to be ungodly, and he has not given any one permission to sin. [Every generation of Americans needs to know that] freedom consists not in doing what we like, but in having the right to do what we ought. - Homily of His Holiness John Paul II, Eucharistic Celebration, Oriole Park at Camden Yards, Baltimore Sunday, 8 October 1995. Cf. John Paul II > Encyclicals > Veritatis Splendor. Not the answer you're looking for? 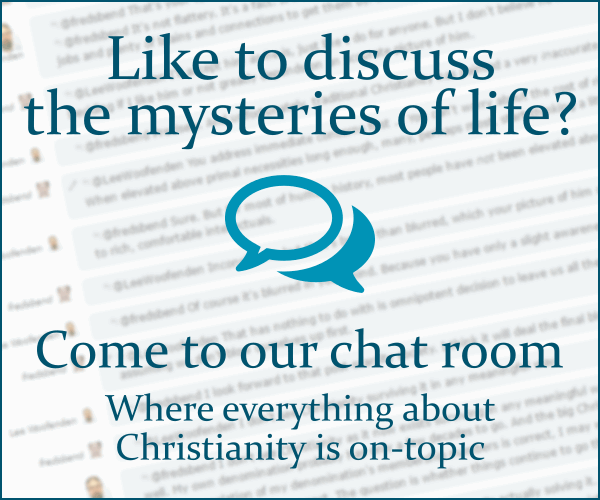 Browse other questions tagged catholicism sin free-will morality or ask your own question. What is the basis for the Roman Catholic teaching regarding the Sin of Presumption? Why did God create man with the ability to sin? According to Catholic teaching, does sin disfigure? Can we treat sin with another sin?